So PS4 has been announced, with the possibility of cloud gaming, but we’re here to talk about a streamed down yet interesting new way we can now game on our smartphones, together. 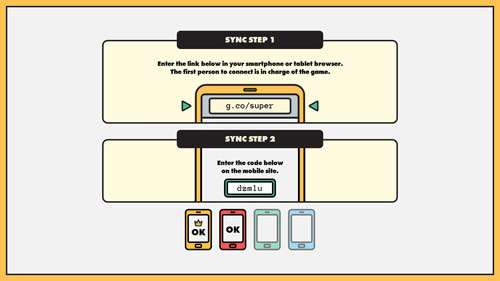 Chrome Super Sync is a Chrome experiment that allows several players to come together and game on the same field using their smartphones as handheld consoles. 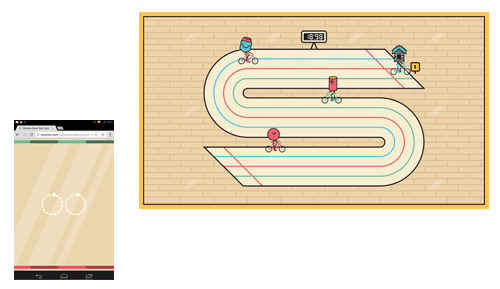 For now, the games are limited to three types of sports: swimming, running and cycling races. Everyone shares a common view on a single desktop browser and use their own smartphones to gesture and move their avatars to the finishing line. 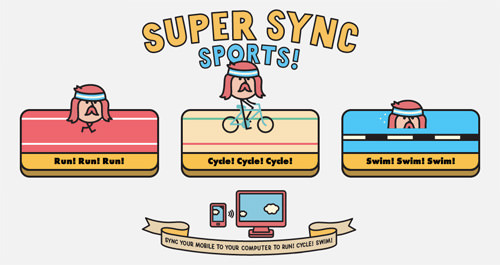 To try this out, go to Chrome Super Sync Sports on your desktop computer or laptop to set up the race and sync in the contestants. Choose from the event you want to race in: running, cycling or swimming. Pick single mode or multiplayer mode and you will get to this screen with a code. 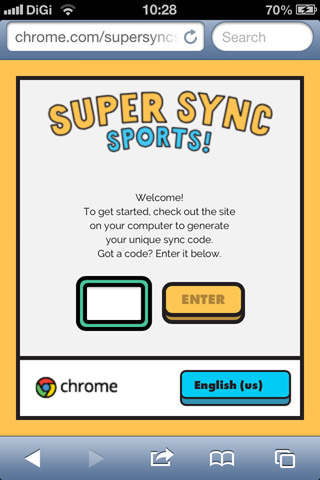 You will need this code to sync your smartphone to the desktop browser. On your mobile browser, enter the code, then click Sync. Choose your avatar and start gesturing on your phone to get your avatar to the end of the race. 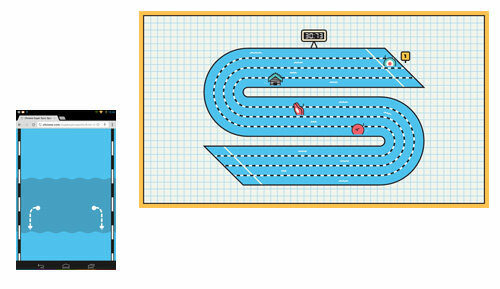 You can race with friends by getting them to g.co/super and keying in the code. You’ll notice at the bottom part of your desktop browser how many of your friends have joined the race. When all of the smartphones are in sync with the game, the first player to log in with the code will have the option to start the game from their smartphone. 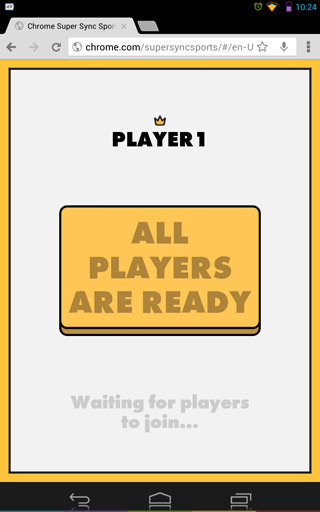 Press on ‘All players are ready’ and it will bring you to the page to select your avatar. After choosing your avatars, you and your friends can start racing against each other by gesturing on your respective phones. You can get any of your friends anywhere to connect to the game via the code, but they do not have a view of the field. 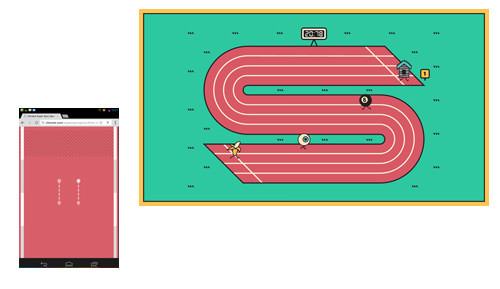 So, basically, you and your friends need to be in the same room to view the events unravelling during the race. This also works on the tablet, in that you can not only use your tablet as a handheld console but also to display the field like your desktop browser can, by requesting desktop view (on Chrome). It might not look like much now but this puts a foot through the door for more multiplayer smartphone gaming options in the future.